The information was released at a working session on June 14 between the municipal People’s Committee and JICA on the reception of volunteers from the Japan Overseas Cooperation Volunteers (JOCV) Programme to work in the city. 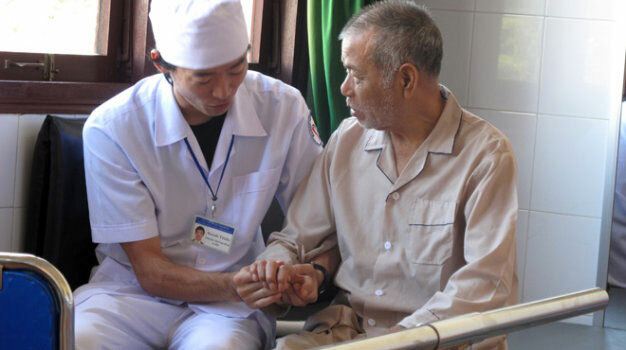 Minagawa Mamiko, the programme’s senior advisor, said that JICA has sent 422 volunteers to many provinces and cities across Vietnam to help in health, education, agriculture and support industry. Can Tho has to date received over 30 volunteers, the most in the Mekong Delta region. JICA wants to maintain close coordination with city to send more volunteers in new fields such as business administration and information technology to the city in order to support the promotion of investment from Japan into Can Tho in the time ahead, she added. Representing Japanese volunteers who are working in Can Tho, Yamasaki Momoko, a physical therapist, expressed her hope that Japanese volunteers will be allowed to work in all local hospitals in stead of several establishments so that they can contribute more to improving the city’s medical check-up and treatment services. Acknowledging these proposals, Vice Chairman of the municipal People’s Committee Truong Quang Hoai Nam pledged to mobilise all resources to support the volunteers and expand long-term relations with JICA. He said he hopes JICA will help connect Can Tho with Japanese orgnisations, individuals and businesses, and open an office in the city to create close cooperation between 13 Mekong Delta localities and Japan./.